Hydros is named as the Greek god of water in some ancient texts, although Hydros is just one of many Greek deities associated with water. In terms of fame though, Hydros is well down the pecking order of aquatic deities, for whilst the likes of Poseidon and Oceanus are famous Greek gods, Hydros is hardly mentioned. The reason for this lack of recognition is due to the fact that Hydros appears in the Orphic tradition whilst most surviving sources related to a tradition based around the work of Hesiod. This in essence means that the genealogies of the Greek gods and goddesses differ, and not all deities appear in both sets of genealogies. In the Orphic tradition Hydros was the primordial god of the waters, and therefore a Protogenoi, one of the first born gods of the cosmos. In this tradition at the very start there was only Hydros (Water), Thesis (Creation) and Mud (who solidified into Gaia (Earth)). Hydros may have therefore created Gaia, by withdrawing the water content from Mud. From Hydros though did come Chronos (Time) and Ananke (Compulsion) when Hydros mated with Gaia, and Chronos and Ananke are two other important deities of the Orphic tradition, for they brought forth Phanes (Life) from the cosmic egg, and brought order to the cosmos. 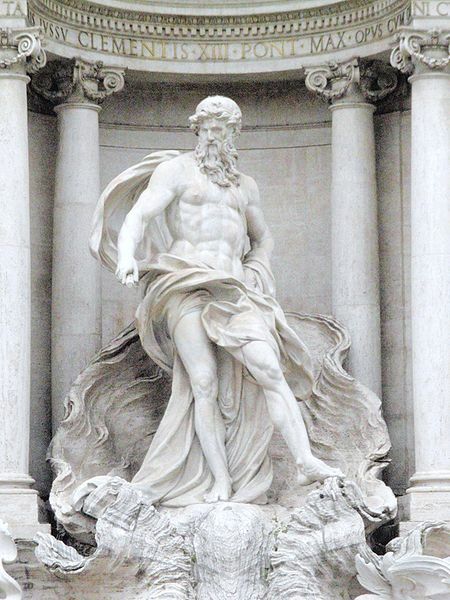 Subsequently, Hydros appeared little in stories of Greek mythology, although a case has been made of equating him with Oceanus, the Titan god of fresh water, a life bringing god of the Homeric tradition.